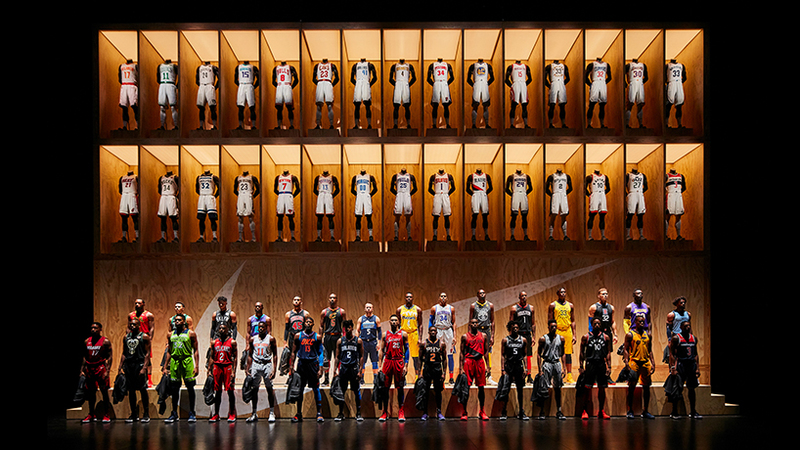 NIKE unveiled its new NBA jerseys for the 2017-18 season at an exclusive event in los angeles where designboom was in attendance. 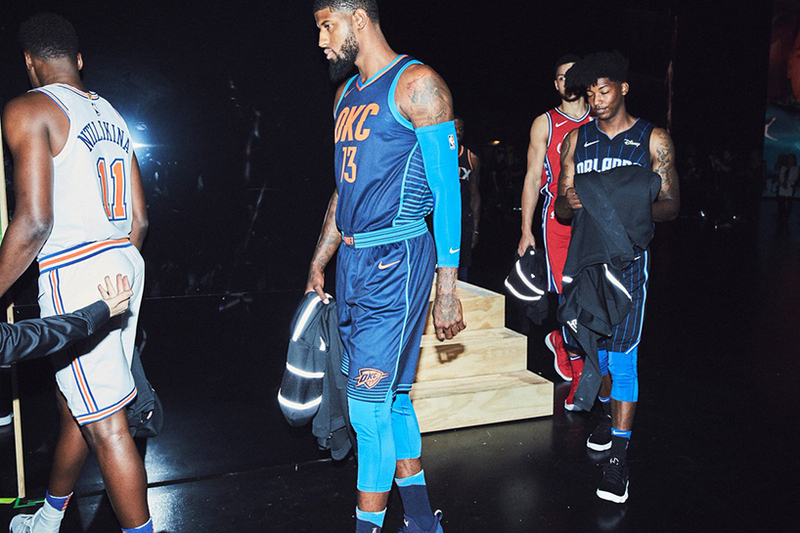 to learn more about the technology, designboom spoke with NIKE innovation’s michael hailey, and took a closer look at some of the uniforms and apparel that will grace the NBA hardwood for the upcoming season. 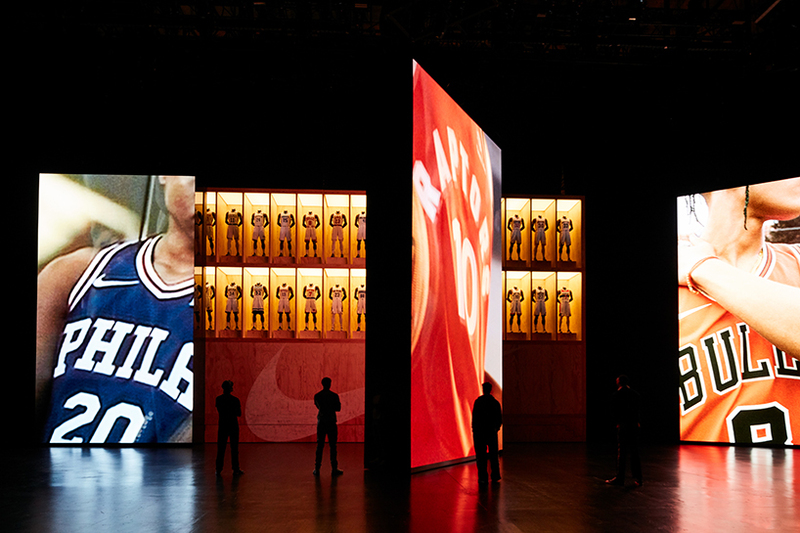 globally launching on september 29, as soon as the NIKE jerseys go on sale, fans will be able to instantly unlock content via the NIKEconnect app. 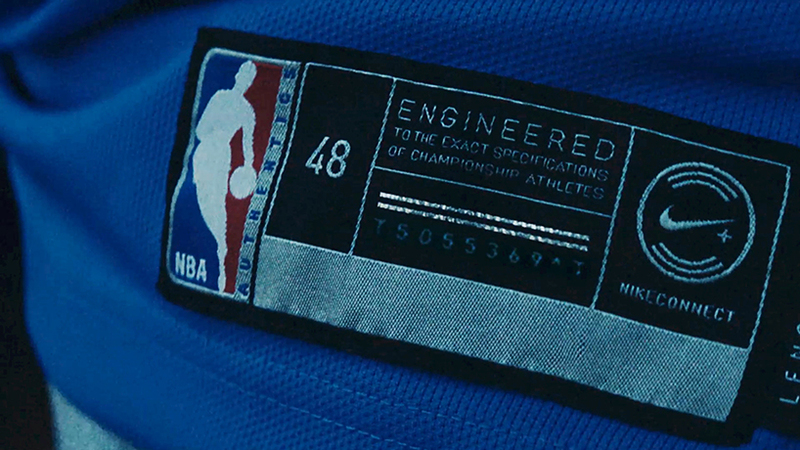 when the smartphone is tapped on the tag at the bottom of the NBA jersey it recognizes the special NFC chip located under the NIKEconnect logo. wearers are then able to ‘tap in’ around the clock, unlocking a wealth of team and player content such as pre-game arrival footage and highlight packages. game day brings even more access to exclusive offers. based on the jersey’s allegiance, the app navigates the central ‘team’ tab. here, a status bar has either a pre-game countdown to tip-off, an in-game score, or a post-game final score. other information provided includes where and when the team is playing next, as well as stats about the wearer’s player of choice. 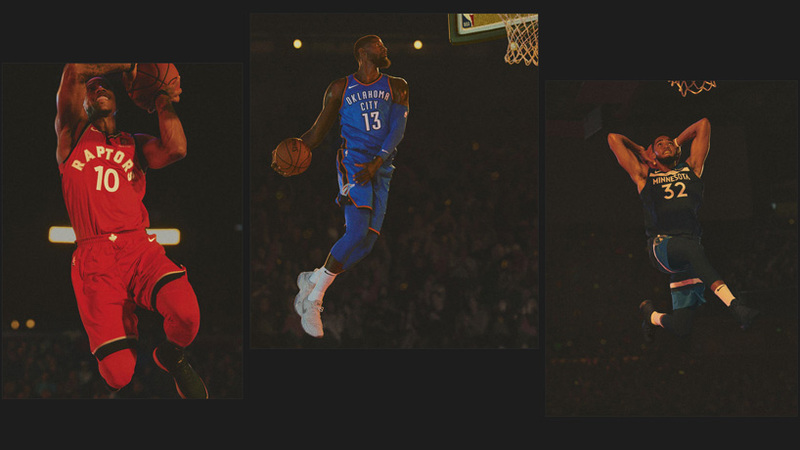 below, the ‘team’ feed combines performance and off-court highlights, including related recap videos and gifs. fans can ‘tap in’ to this content for greater detail or share externally with friends online. in addition, the left side of the experience has an ‘offers’ tab that reveals both game day deals and ‘upcoming rewards’ for future games. 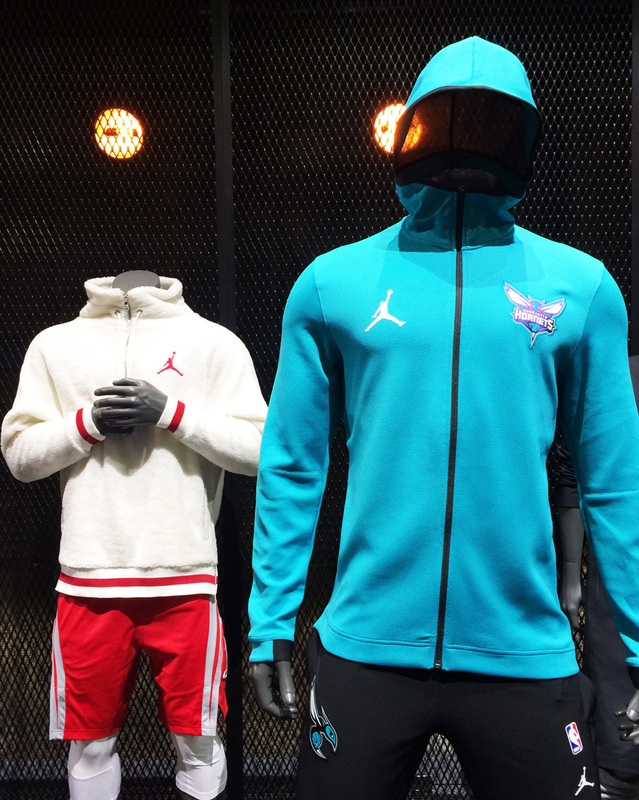 offers include exclusively licensed products, NBA 2K18 boosts, tickets to games, and spotify playlists from athletes. 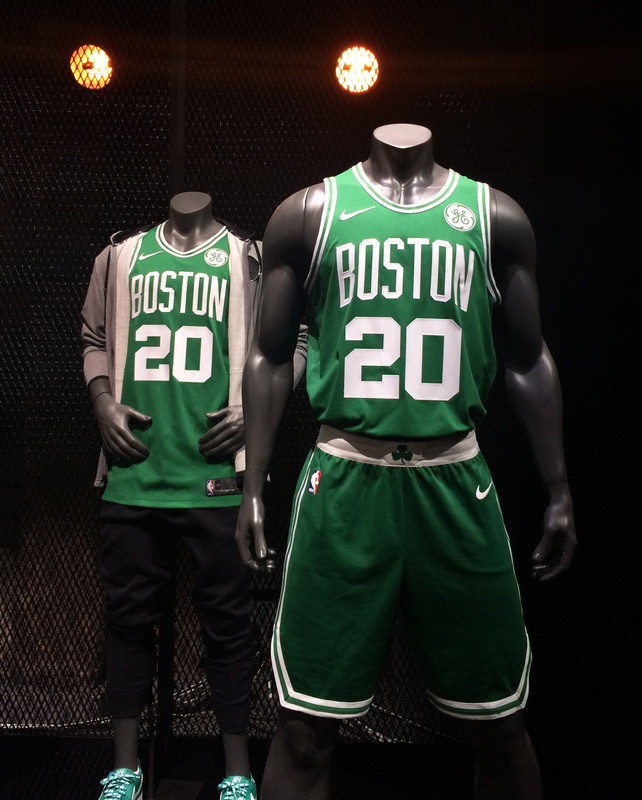 meanwhile, the right side of the app has a ‘jersey’ tab, which shows a history of tap-ins and rewards with that particular NIKE NBA connected jersey. 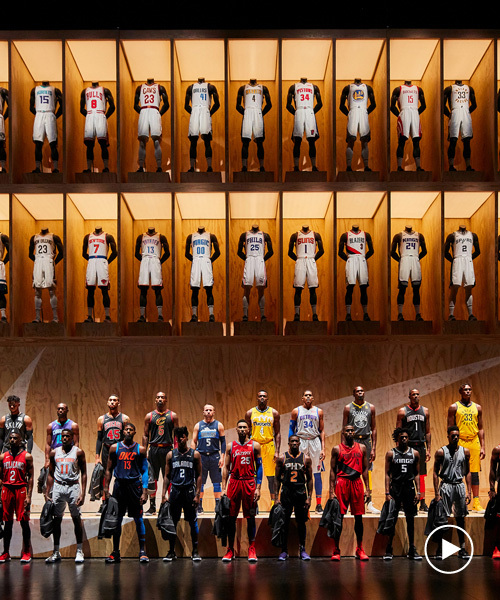 designboom (DB): can you start by introducing the NIKE NBA connected jersey? michael hailey (MH): first off, its way more than a jersey, way more than a uniform. it’s actually your gateway to being connected to your favorite team, your favorite athlete, and the game you love. 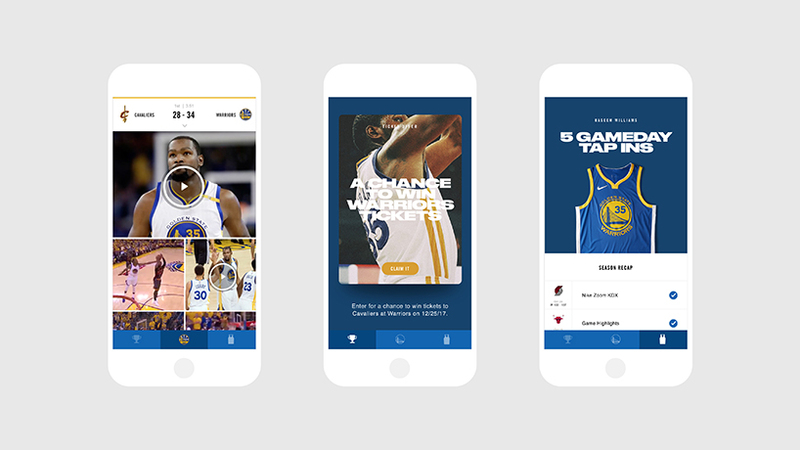 it lets you engage with your favorite athletes and teams. it rewards you everyday that you connect with the game, and that reward is customized content for you. there are also exclusive experiences that are delivered for you. 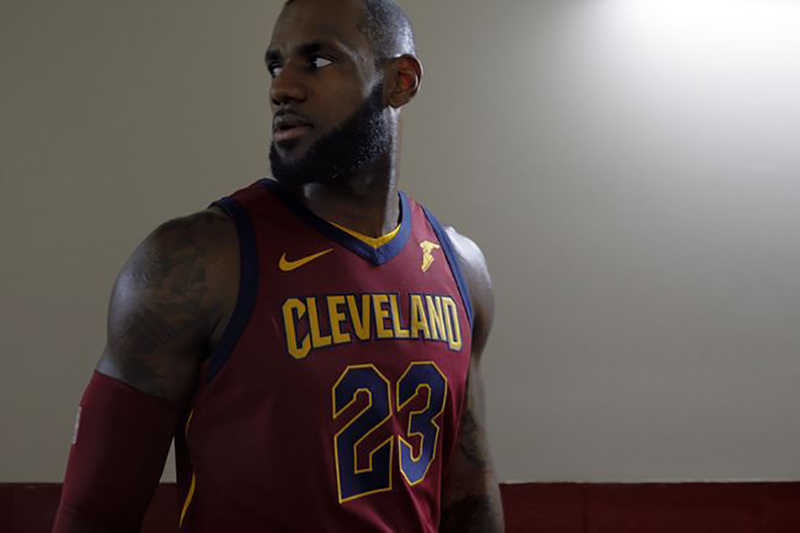 the jersey is powered by NIKEconnect, a new technology platform that NIKE is building that enables our products to draw fans, who are wearing this jersey, closer to the athletes and the team that they love. DB: how does the technology work? MH: all our fan jerseys have the NIKEconnect jock tag on them. on this jock tag is the NIKEconnect logo and behind that logo is an NFC (near field communications) tag. it’s the same general technology that you use for apple pay or for metrocards. it’s a very simple technology but we’ve applied it in a very powerful way. each tag has a unique ID. when you wear the jersey and you tap on it with your phone, we know what the team is, what the player is, and we even know the style of the jersey. that allows us to create really customized experiences for anybody around the world. DB: what do you need in order to use this interactive element? 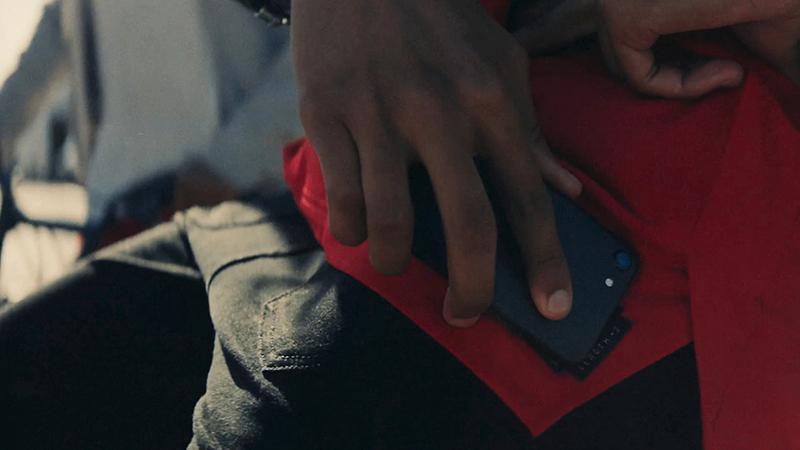 MH: you need three things in order to use this: a jersey with NIKEconnect that has the chip technology inside; a phone that can scan NFC, so most modern android devices, iPhone 7, iPhone 8, iPhone X; and the NIKEconnect app. if you have a NIKEplus account you just sign in, otherwise you can create one, it’s very simple. we also ask for your location so we give you more offers that are even more tailored to you. the idea is that we want you to wear your jersey, and ‘tap in’ anytime. if you tap in, even if your team aren’t playing, you’re going to get NBA highlights. if you tap in on game days, you can unlock additional exclusive offers. DB: what kind of content will fans have access to? MH: it’s a nice mix of performance but also off court, so you get a nice sense of the culture of the game. 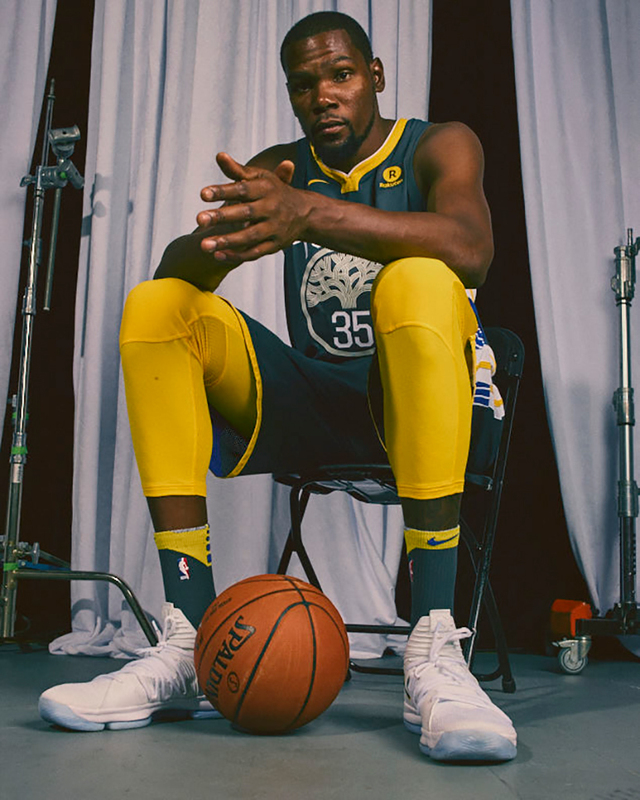 if your athlete is kevin durant, you’ll see a lot of nice KD content, but you’ll also see a lot of content from the rest of the team. there are gifs, which you can save and share, and at the end of the game, you actually get a focused game re-cap video — a 1 to 2 minute movie that has all of the best plays from the night. the other cool thing is that you can see what offers are available, based on games that are upcoming. for example, if you tap in on game day, you can get KD’s spotify playlist. you can see that if you tap in you have a chance to get tickets for an upcoming game. the core of this experience is customized content. 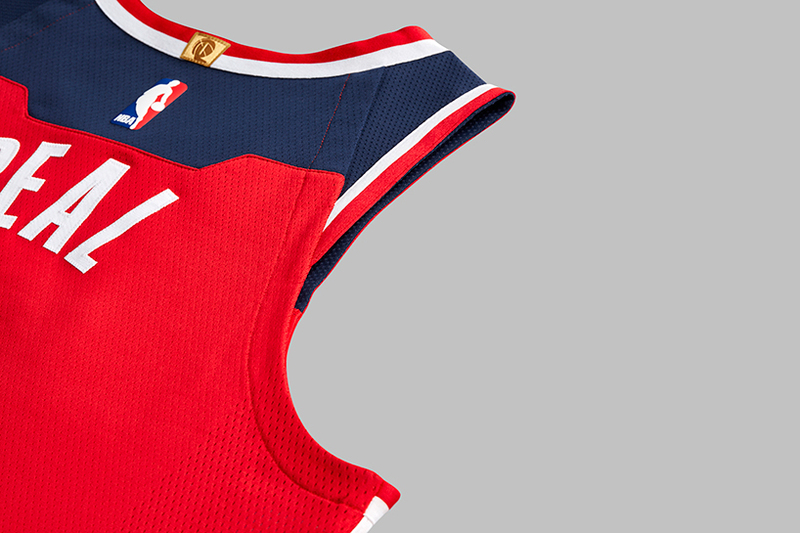 although the jerseys that the players will wear on-court do not include the NFC chip, they are near identical to the fan versions. 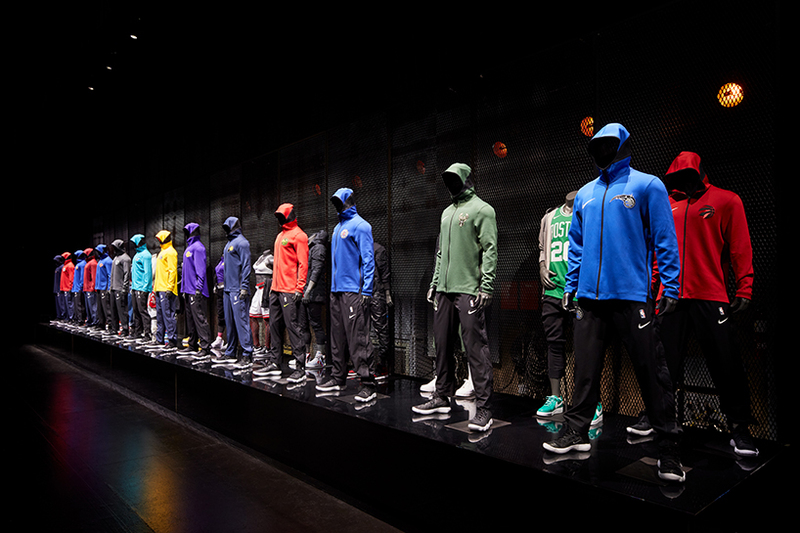 in order to develop the uniforms for the 2017-2018 season, NIKE engineers and designers focused their efforts on three key areas: movement, thermoregulation, and fit. importantly, the team used ‘atlas maps’ — a process that involves taking a digital body scan to evaluate sweat zones, contact zones, and where basketball players need full range of motion. designers then overlaid the maps to understand how to design a uniform in three dimensions. 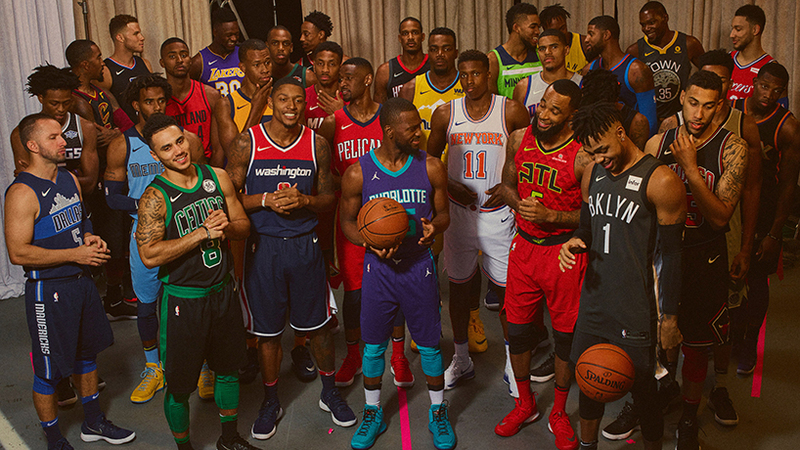 the NBA ‘association’ edition and ‘icon’ edition uniforms launch september 29, 2017 via NIKE’s website, while the ‘statement’ edition uniform will be available november 20, 2017. Do the chips need to be disposed of like other electronics?